Jerauld Clifton Sterud son of Joe and Cora (Wesley) Sterud was born on September 11th, 1938. 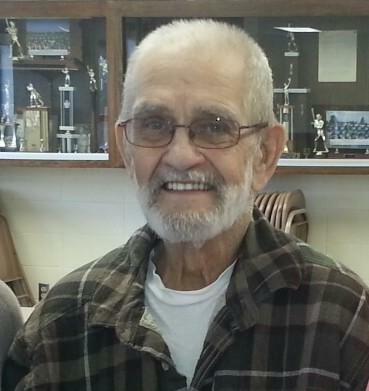 He died on Wednesday, February 18th, 2015 at the VA Medical Center in Sioux Falls after a short battle with cancer. Jerauld grew up in Chester, SD and later moved to Sioux Falls. He married Bernetta Bauer on April 8th, 1961. They were blessed with four children, 10 grandchildren and numerous great-grandchildren, along with many nieces, nephews. Jerauld was a Navy Veteran. He was a route driver for Pepsi Cola for 20 years. Upon "retiring" he and his wife ran a local antique store for a number of years. Grateful for having shared in his life: his wife of 52 years Bernetta who preceded him in death; his children: Tim (Cyndy) Sterud, Brian Sterud, John Sterud all of Sioux Falls, and daughter Deb (Al) Corkill of Tea; sister: Elaine Pederson; brother: Bob (Barb) Sterud; sisters- in- law: Barb Vander Poel, Sally (Tony) Osiecki, Marian (Zane Sr.) Swenson; and brother-in-law: Lambert Bauer Jr. He was preceded in death by his parents Joe and Cora Sterud; sisters-in-law: Betty Cunningham, Lolly Bauer, Mary Sterud, and Joan Bauer; brothers-in-law: Vernon Bauer, Edward Bauer, Robert Pederson, Bert Vander Poel. Visitation will be Sunday, 5 PM at Barnett-Lewis Funeral Home with a Prayer Service at 7 PM. A Committal Service will be Monday, 10:30 AM at St. Michael Cemetery with Full Military Rites.